Need a way to mount your injector nozzle into your silicone or rubber intake tube? Snow Performance now offers a Nozzle Mounting Adapter for those without metal intake tubes. 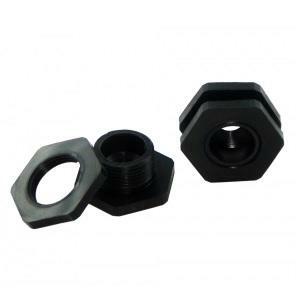 Made from Delrin, the adapter is methanol resistant and highly durable. Installation is easy: simply drill a 3/4” hole using a spade bit, insert the inner adapter piece, and thread on the outer adapter nut.